When you enrol your child at St Monica's Primary School you enrol the whole family into a school community where everyone is valued and supported. Highly-qualified and caring teachers provide students with an innovative and engaging faith filled learning environment where each child is nurtured and inspired to grow to their full potential. 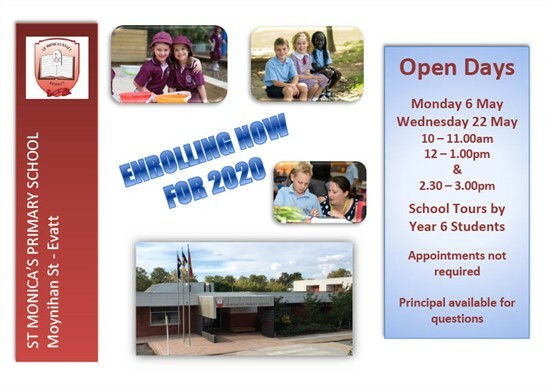 When places are available, St Monica’s Primary School is happy to accept enrolment into all grades throughout the year. 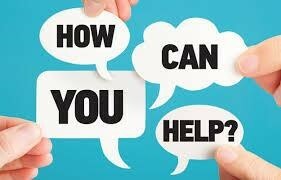 Please contact the office (02 6258 5105) to make an appointment with the Principal who will answer any specific questions families may have regarding the school or the enrolment process. You can now enrol online at St Monica's by selecting the link above. Alternatively, submit the following paperwork and enrolment form directly to the school office. To complete the application form you will need to submit the following information. Original documents will need to be presented at the time of interview. Proof of residential address, such as rates notice, electricity, water or telephone bill.